Last week’s massacre of nine black churchgoers by a white gunman in Charleston, South Carolina, re-ignited debates over the Confederate battle flag. While federal and state flags were lowered to half-staff in the wake of the shooting, the symbol of the Confederate forces flew high over the state’s Capitol grounds in Columbia. That flag is padlocked in place, preventing it from being lowered to half-staff, but many activists, politicians and regular citizens want it gone altogether, citing it as a symbol of racism and hate. Even South Carolina Gov. Nikki Haley called for the flag's removal from the statehouse at a Monday press conference, saying that the symbol "does not represent the future of our great state." While some supporters of the flag say they see it as a racially neutral symbol of Southern heritage, the flag has strong ties to racial injustice that extend far beyond the Civil War. The flag flown above the Capitol grounds in Columbia and commonly called "the Confederate flag" was never actually the official flag of the Confederate States of America. The CSA had three national flag patterns between 1861 and 1865, which can be viewed at the Museum of the Confederacy website. A flag at Vicksburg National Cemetery in Vicksburg, Mississippi, bearing the original "stars and bars," the First National pattern of the Confederacy. However, because the first CSA national flag was so similar to the United States flag, it was difficult to tell which flag was which on the battlefield. That’s why the Army of Northern Virginia began using a separate battle flag that looked like a square version of the flag most people are familiar with today. An oblong version of this flag was used by the Army of Tennessee and adopted as the Second Confederate Navy Jack. 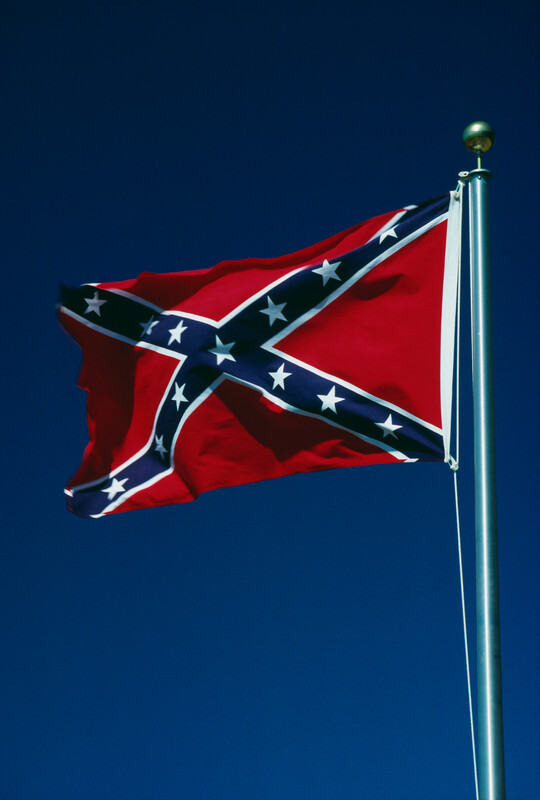 This version is the one most strongly associated with the Confederacy today, and has been nicknamed the “rebel flag,” “Southern cross” or “Dixie flag.” It’s sometimes incorrectly called the “stars and bars” -- a term that actually refers to the stars and bars present on the CSA’s first national flag. Champions of the battle flag argue “it’s not a racial thing,” but it’s tough to deny the pattern has strong links to slavery. The Civil War started because of uncompromising differences between the free and slave states over the power of the national government to prohibit slavery in the territories that had not yet become states. McPherson adds that the government refused to recognize the secession because they feared it would result in the U.S. turning into "several small, squabbling countries." 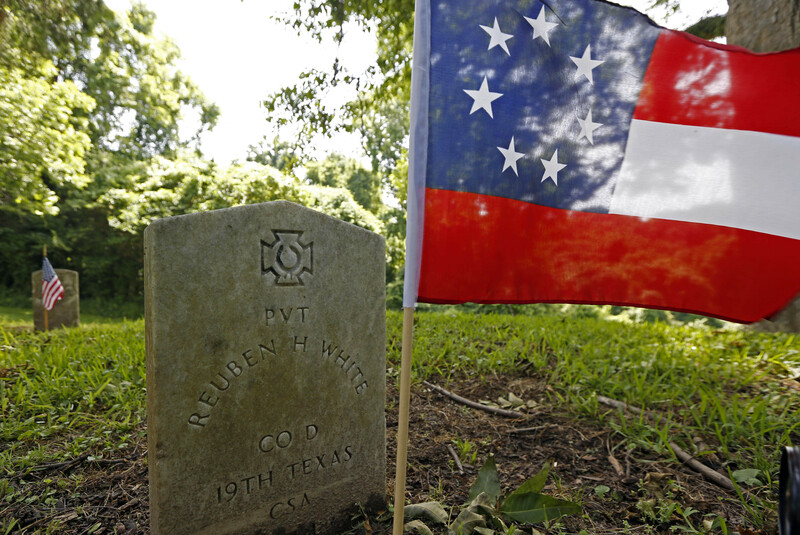 It was not until long after the Civil War ended, however, that the battle flag began to take on even stronger connections to racial injustice. In the late 1940s, the flag was adopted as a symbol of the Dixiecrats -- a political party devoted to, among other things, maintaining segregation. They also opposed President Harry S. Truman’s proposals to instate anti-discrimination laws and make lynching a federal crime. Some of the Dixiecrats went so far as to declare their commitment to “white supremacy,” according to The Confederate Battle Flag: America’s Most Embattled Emblem by John M. Coski. Coski writes that though the Dixiecrats soon faded into obscurity, their campaigns “made the flag a fixture in places where it had been only a novelty before.” Coski gives the example of the University of Mississippi, which he notes rarely used the battle flag as a symbol prior to 1948. He says the university began heavily incorporating the symbol into school activities and events a few months after students protested against Truman’s civil rights proposals. Notably, Ole Miss is the same institution that erupted into riots in 1962 when the federal government insisted that the school accept a black student. In 1963, the year after the Ole Miss riot, Alabama Gov. George Wallace raised the flag over the state Capitol in protest against desegregation, as described by the Georgia State Senate Research Office in a 2000 report. Resisting, avoiding, undermining, and circumventing integration was the 1956 General Assembly’s primary objective. The adoption of the battle flag was an integral, albeit small, part of this resistance. The flag has also periodically been flown by the Ku Klux Klan -- though to be fair, so has the United States flag. Though some people may genuinely feel that the Dixie flag represents their Southern heritage or commemorates those who lost their lives in battle, the reality is that in far more recent history, the flag has been used as an explicit symbol of racism and racial inequality. That’s why, as John Oliver says, it should be lowered not just to half-staff, but all the way off of the Columbia flagpole.